Thomas Fresh specialty potatoes are rare varieties. Purple potatoes have a show-stopping colour. 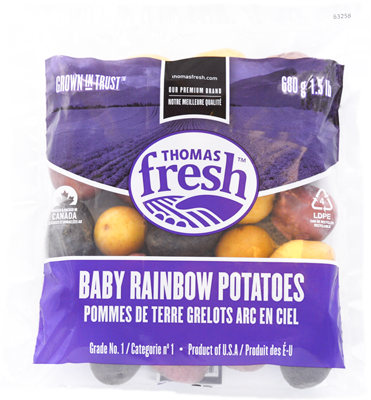 Baby rainbow potato bags include a medley of purple, yellow and red varieties. Best for roasting. No peeling necessary, bake whole or cut into half or quarters. 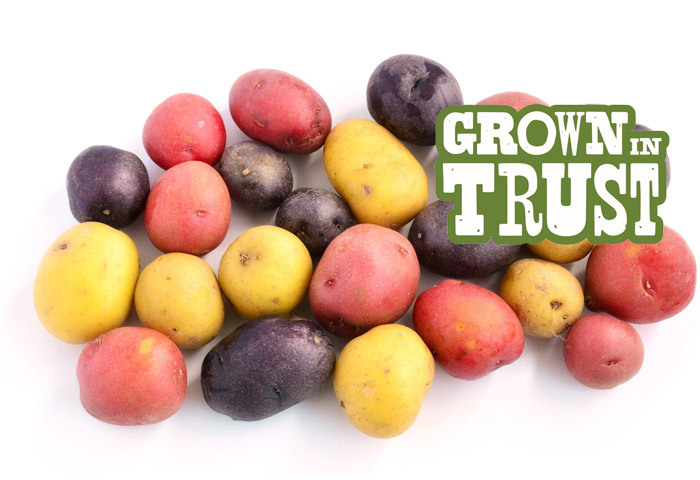 Purple potatoes have gone viral on social media during recent years! Mostly due to their unique and stunning colour.